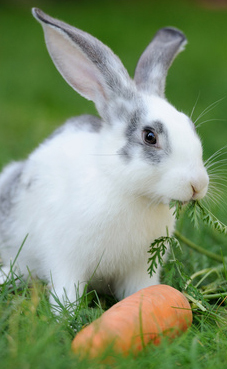 help you see in the dark vegetable ... rabbits' favorite. These fresh, snappy, orange long fellows will be planted in the raised bed next spring too. ... an early and later harvest. ... well drained ... deep ... loose ... rock and obstacle free. 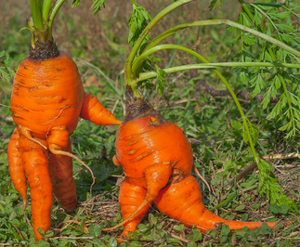 ... a creation of carrots with curious shapes may result. 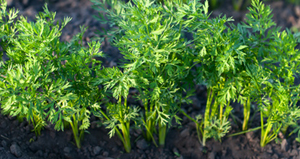 Successive plantings will provide for an ongoing harvest of garden fresh carrots. Planting seeds 1/4 to 1/2 inch deep ... 18 seeds per foot works best. ... trying to get 18 seeds per foot ... most of us blush at the adjectives he uses ! This year he is trying seed tape ... the carrot seeds are pre spaced on tape. 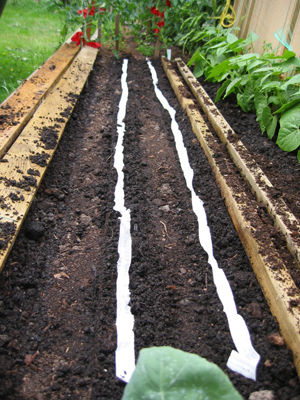 Straight rows ... planting carrots that are evenly spaced ! We will see if the cats can mix these seeds up. ... if he put too many seeds in the ground ... thin to about 2 inches apart. 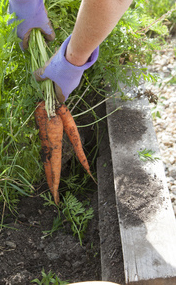 ... no soil compaction ... carrots like this ! ... His big feet ! 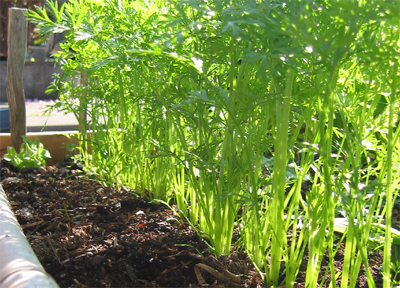 ... Garden Mulch also prevents the carrots from having green shoulders. 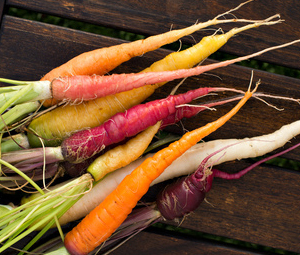 Which carrot variety should a gardener choose ? There a multitude of carrot seed varieties to choose from ! The best gardening advice is to ask. ... as well as the backyard gardening soil and conditions. ... bred to be resistant to carrot (rust ) fly. Cooked or raw the flavour was great ... According to himself. ... some multi coloured carrot varieties too. 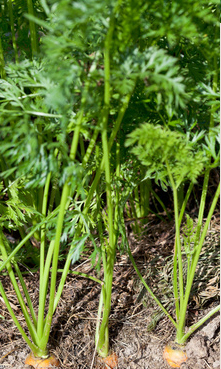 There are carrot varieties that do well when container vegetable gardening. 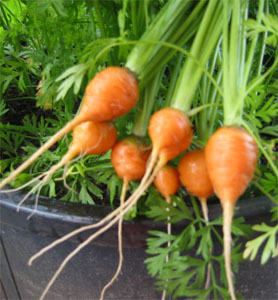 ... growing carrots in pots in the balcony garden. ... needing less leg room but a bit more shoulder space. Are carrots good plant companions ? They certainly are good ground breakers with their long tap root. ... Tomatoes ... Cabbage... Bush Beans ... and more. 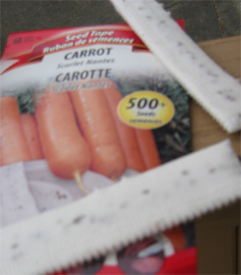 ... is the biggest part of the secret to growing carrots. 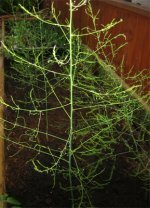 More articles about Gardening Vegetables that may interest you.